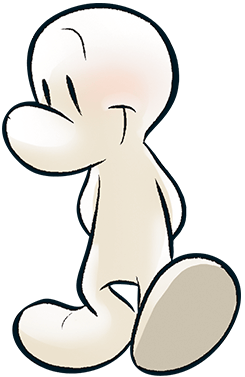 In 2005 Scholastic launched Graphix with the publication of the full-color edition of Jeff Smith’s BONE: Out from Boneville. Eleven years later, Graphix remains dedicated to publishing engaging, age-appropriate graphic novels for children and teens. In 2016, Comics Beat called Graphix the #1 graphic novel publisher for children and young adults. Today, Graphix continues to focus on creator-driven books that bring exceptional art, rich content, and strong storytelling to realistic fiction, memoir, fantasy, and more. Graphix titles have become bestsellers around the globe and continue to receive awards and critical acclaim including multiple Eisner Award wins and nominations, a Stonewall Book Award Honor (Drama), a Boston Globe-Horn Book Award Honor (Smile), an Edgar Allan Poe nomination (The Lost Boy), and 20 New York Times bestsellers to date. Graphix combines the power and impact of graphic novels with Scholastic's proven ability to reach children through schools, libraries, and wherever books are sold. From Amulet to BONE to Smile, Graphix publishes some of the top comics creators and graphic novelists working today. We also nurture and grow new and rising talents.